During the submission stage, some authors may enter the same submission twice. If you'd like to remove these so the duplicates do not go to review as well, navigate to your list of submissions by finding the Submissions Overview card and selecting 'Browse Submissions'. Then, search by title or author and if you see the same submission listed more than once then you may wish to delete it by following these steps. Some of the submissions in the list may be pending, meaning the author has not completed all steps of the submission process. As pending submissions will not be included in review allocation, you may want to ask those authors to complete the steps. 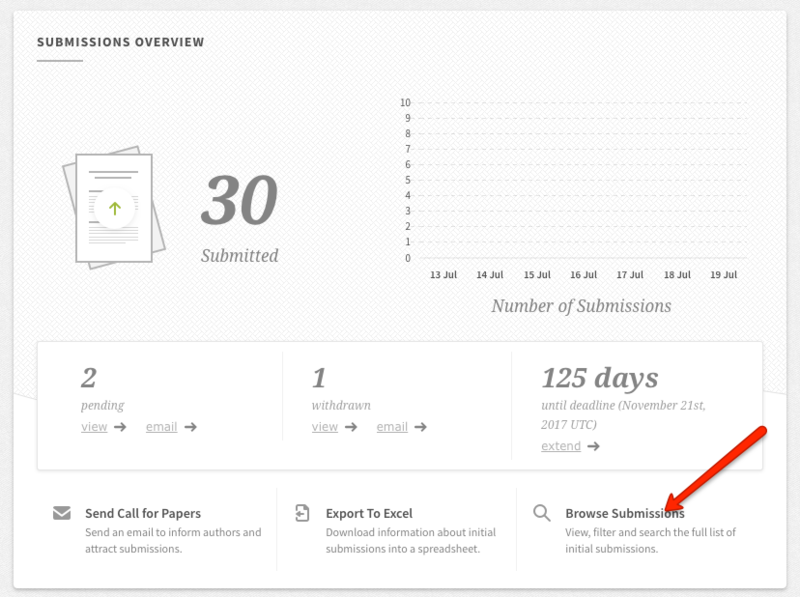 You can email the authors of pending submissions through the Communication hub. Select to contact authors from the list as highlighted below and select 'Next' to move to the next step. 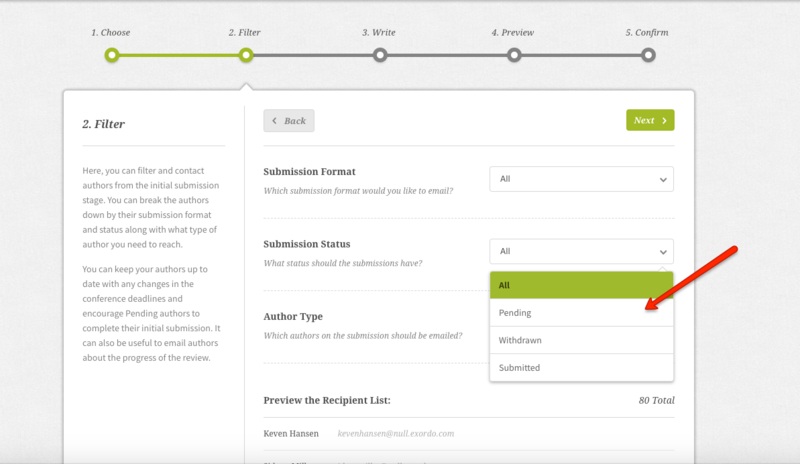 Click on the Submission Status dropdown to filter by authors with a pending submission and your email will be sent to those authors only. Normally, the reviewing takes place after the submission deadline has passed and so you will want to have your review settings and reviewers ready before the submission deadline closes. We have a guide about configuring your review settings here and how to add the reviewers here.